Identifying ideal food combinations is not only a culinary art but also a tedious process. If you get the combination right, the food not only tastes amazing but also has several health benefits. However, if the combination goes haywire, it might lead even to food poisoning. But we are lucky to inherit so many different food traditions handed down to us by our elders. Let’s have a look at some unique food combinations from the southern plains of Nepal. Grass peas (Lathyrus sativus), grown as a forage in Europe, is considered a poor man’s pigeon pea (rahar ko dal) in the Terai. Although there’s a common belief that its prolonged use can cause paralysis, people love the grass peas and brinjal (eggplant or aubergine) curry in the southern plains. Here’s how you cook it: Cut khesari leaves into fine pieces and chop the brinjal into fine cubes. Get your spices ready to start with. Then heat few spoonful of mustard oil, fry finely with chopped garlic, onion, ginger and chilly pieces. As the onion turns brown, add the brinjal pieces and fry them for a while. Then slowly add the grass peas and cook for a while. As you cook the curry, add the spices (turmeric, chilly, coriander and cumin powder) and water and cook on low heat. You can eat the curry with boiled rice but it tastes better when eaten with puffed rice. Have you ever tried cooking bottle gourd and mustard greens together? 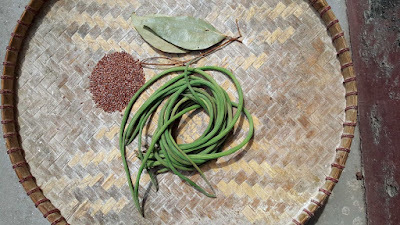 The mixed curry of bottle gourd and mustard greens, called gonja in Eastern Nepal, is a local delicacy during the onset of the winter season. Here’s how you cook it: Scrape the bottle gourd and cut it into small pieces. Also cut small pieces of mustard leaves. Just like other curries, start with frying onion, chillies, ginger and garlic pieces. You can also fry fenugreek and cumin seeds for a unique taste. Once the onion gets brown, add the bottle gourd pieces and fry till they pieces become a bit translucent. Then add the mustard greens. Fry them both and cook on low heat. Finally add a bit of water and add a pinch of rice flour, if available. Let it cook for a while—it'll be ready in few minutes. Serve it with either rice or puffed rice. They also cook bottle gourd and sinki (fermented and dried greens) together. It’s also called gonja but is a bit sour in taste. Drumstick, flaxseed and bay leaf make a yummy curry. Just roast the seeds and grind them into powder form. While cooking the drumsticks start by frying the bay leaves, dried red chillies and nicely sliced onions in mustard oil. As the onion slices turn brown add the drumstick pieces and slices of potatoes to taste and cook on low heat. Add cumin, coriander, turmeric powder, ginger garlic paste and salt to taste and add warm water. Finally, add the flaxseed powder for thick gravy and your dish is ready! 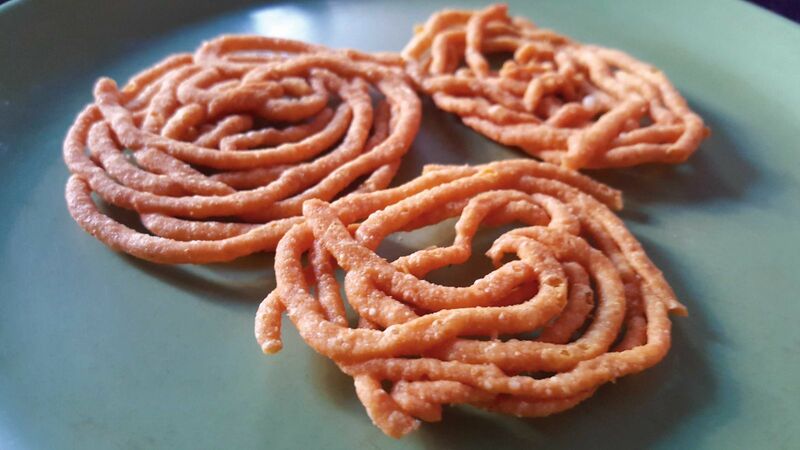 Jhilli, made of chickpea flour, looks like a jalebi but is salty in taste. Fried in mustard oil or vanaspati ghee, they are one of the most sought after snacks in haats, the weekly markets of the southern plains. And if you cook it in a thick gravy of chopped onion, spices and dahi (curd), it makes a fabulous curry. We talked about elephant foot yam aka oal curry in our September 2018 issue. When mixed with mango ginger aka amadi, the oal tastes much better. The amadi looks like ginger but tastes like raw mango and it makes a unique combination with oal. You’ll just need to grind elephant foot yam and mango ginger, together with chilly and spices. Then dry the mixture in the sun first before packing it in a bottle with mustard oil and salt to taste. It's finger licking good! The fresh bamboo shoots are a bit bitter when cooked without treating with baking soda. But when boiled with baking soda, the bitterness goes away. And once garnished with flaxseed powder, the slurpy bamboo shoot curry tastes amazing! It's a peculiar dish cooked in the southern plains of Nepal and since the flaxseed has been deemed a superfood, the curry, if introduced to a wider audience, is set to be a hit among foodies. The Bauhinia variegata L. flowers are delicious to eat as a pickle or chutney. 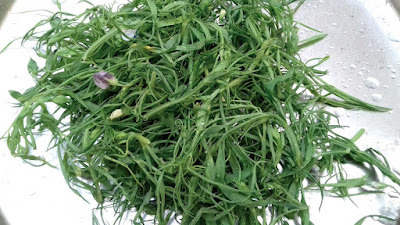 Called koiralo in Nepali and koilar in the local language of the southern plains of Nepal, its tender leaves are eaten as a popular vegetable. And if garnished with flaxseed powder just like the fresh bamboo shoots, it tastes superb! The food of southern Nepal is diverse and delicious – give one of the above recipes a try, or ask for these dishes at local eateries the next time you visit the plains. Amadi looks like ginger but tastes like raw mango. If you go to the southern plains of eastern Nepal and ask for local snacks at roadside eateries, you’ll most probably be served a savory mixture of beaten and puffed rice, chickpea curry, fritters, fried chili, and a special chutney made from amadi. 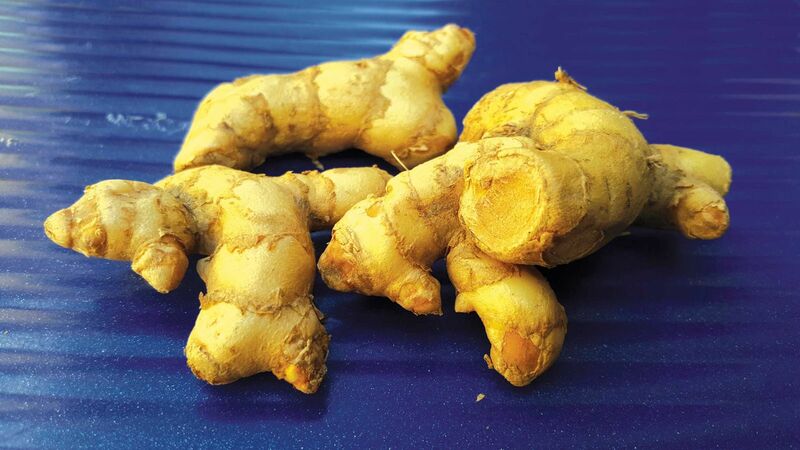 Amadi looks like ginger or turmeric, but tastes like a raw mango. In eastern Nepal, a mango is called aam, and ginger is called aadi, so these two words might have been combined to derive the word ‘amadi’. In the hilly region, it is called aaphaledo, while in western Nepal, it is called aaphardi, or aamhardi—a combination of aap, or aam, for mango, and hardi for turmeric. Its English name is mango ginger or white turmeric. Amadi chutney, tangy but delicious, is also a must-have item at community feasts in the eastern Terai. Made by grinding amadi and chili together and adding mustard oil and salt to taste, the chutney not only adds that extra special flavor, but also helps digestion. Grown sparsely in the Terai and mid-hills, this root is also used as a medicine. 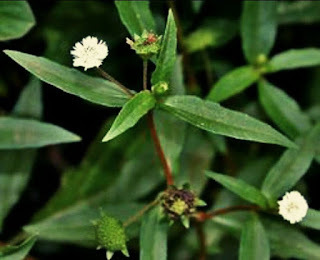 It’s been used in Ayurveda and Greek medicine as a cure for all types of itching and skin diseases and as an appetizer. Recently, researchers in Germany have discovered that it is a good medicine for obesity. 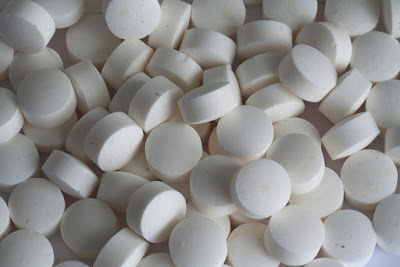 Tharus in eastern Nepal believe that it even cures paralysis, and is an antidote for the effects of heat wave. While different types of pickles can be made from amadi, the oal (elephant foot yam) and amadi pickle stands out among all. For that, you’ll need to gather mango ginger, elephant foot yam, tamarind, green chilies, and other spices. Clean and cut the mango ginger and elephant foot yam into small slices and let them dry for a day. Then, crush them into fine pieces together with tamarind, chilies, and ginger. Add turmeric powder, other spices, and salt to taste, and mix them well. Leave the mixture to dry in the sun again for a day or two and then pack it into a bottle and add mustard oil to it. The pickle can be eaten from the first day itself, but it tastes much better if consumed a few days after it’s made. Republished from the July/Aug 1993 issue of Himal magazine. Used with permission. Fish charter in Tharu, Chapagaon. Photo by Bikas Rauniar. Used with permission. The Tharus could not have hid out in the jungle for aeons waiting to be discovered during the malaria eradication campaign of the 1950s. They must have a history of their own. Henry Ambrose Oldfield, in his book Sketches from Nepal, describes the Tharu of the Nepal Tarai as “a puny, badly developed and miserable-looking race, and probably belonging to the same original stock as the natives of the adjacent Plains of India”. Apart from the extreme cultural bias of this description, the belittling terminology was not borne out even in Old field's day, when the robust forest-dwelling Tharus were described by another contemporary book as being “chiefly employed in the difficult and dangerous task of catching wild elephants". And a population group that had defied mighty malaria itself could hardly have been "badly developed". As for Tharu origins, rather than his perfunctory hypothesis, Oldfield might have delved into the possibility that the Tharu have Mongolian blood, but he probably was not interested. Unfortunately, things have hardly changed since Oldfield's days, and successive British writers and historians, as well as the subsequent South Asian scholars have, by and large, shown similar weaknesses with regard to the Tharu society and its history. As one of the most disenfranchised groups of the Ganga basin, it is perhaps natural that this should happen to the Tharus. What were the Tharus doing in the malarial jungles and how did they get there? No social scientist has yet felt a need to study history of the Tharus in depth. They make up an invisible community which makes an appearance only when it suits the interests of the mainstream historians. In the case of Nepal, such a time arrived when malaria eradication finally cleared the jungles and it was imperative to say something about the resilient population of this region. Even so, the interest of modern historians of Nepal and India seems limited to brief sympathetic mention of Tharus as an exploited population group, and how they have resilience against malaria. Some bizarre theories are also propounded as to the Tharu's origin. When they finally find the time to delve into the Tharus' past, researchers will find that they have not been faceless in history, and have in fact been active participants in the happenings of the Himalayan region and adjacent plains. For example, there exist many lalmohars (land grant documents) awarded by the kings of Palpa, Makwanpur and Nepal Valley to Tharus for their bravery, "extraordinary sense of duty", or other reasons. Such documents can be found from Morang district all the way west to Kanchanpur. There are lalmohars from the kings of Kathmandu and Palpa which grant full enjoyment of Tharus to Tarai lands (except the tithe) if they are able to control the wild animals and the spirits of the jungles. Mahesh Chandra Regmi, the economic historian, in his book Landownership in Nepal during the Nineteenth Century seeks to prove that the Tarai lands belonged to the Thakuris, Ranas and Bahuns. While this is doubtless partly true, it must be remembered that, at best, the hill people came down for three months in mid-winter, and were gone by the end of February. They did not know what the Tharus produced in their lands, and were content to let the Tharus be the defacto landowners. Thus, the Tharus were the masters of much of the Tarai lands, but there are numerous lalmohars to prove that they also had de jure title over vast tracts. For instance, one such lalmohar sanctions land in today’s Parsa district south of Kathmandu in favour of the family of Darpnarayan Garwar Tharu, for "gallantry" shown in a war between Makwanpur and southern marauders. There are many such lalmohars available for other parts of the Tarai as well. The very fact of the linear habitation of Nepal through the length of Nepal's Tarai tends to prove that they spread out and inhabited this expanse over a long historical period. Unfortunately, we know little about this period. The priests and nobles of India and Nepal have always worked well together when the question at issue does not touch upon their rival claims upon one another. When it comes to the Tharus, therefore, these groups have found it mutually convenient to relegate the Tharus to a historical corner, the implication being that these are barbarians with no history. An attempt to write the social history of the Tharus is problematic, and credit goes to anthropologist Dor Bahadur Bista for at least having made a start in People of Nepal (HMG Nepal, 1967). But other historians are satisfied with fanciful notions about Tharu origins that do injustice to the community. With no evidence to support the contention, some have claimed that the Tharus are descended from those that fled from the Thar Desert in Rajasthan during the attack of Allauddin Khilji in the 12th century and Emperor Akbar in the 16th century. Baburam Acharya, a Nepali historian of stature, has accepted this thesis and stated that many Rajput soldiers were killed by Akbar's forces and that the women of those soldiers fled to the jungles of Nepal with their servants. The Tharus are supposed to be the progeny of these mistresses and their servants. Some innocent/ crafty modern-day Tharus have taken satisfaction in this explanation, possibly because it links the community to the glorious Rajputs of Rajasthan. The reason the Tharus lost the sacred thread, it is reasoned, is because they gave up warfare and adopted agriculture. (That perhaps they were not originally Hindus is indicated from an order that was issued to enforce the Muluki Ain (1854) among Tharus who lived between Morang and Dang-Deokhuri. Among other things, the order decrees that Tharus are not to eat pork or drink liquor, and that males are not to marry maternal cousin sisters). Rajasthan lies to the south and west of Delhi, which was the seat of the Muslim kings and emperors. Why would the bevy of doubtlessly brave Rajput ladies insist on travelling through Mughal territory to end up in the jungles of the lower Himalaya when they could have fled easily southwards to the hills of the Satpura and Vindhya ranges? A theory propounded by Iswor Baral, presently the Vice Chancellor of the Royal Nepal Academy, seems more plausible than the 'flight from Rajasthan' myth. Baral, who grew up among the Tharus and knows the community well, is of the view that the Tharus are descended from a community that was persecuted and banished northwards during the expansion of the Vajjii Republic. According to the Buddhist scholar Ashwagosa, this was a flourishing state during the Sakyamuni’s time. From geographical history, we know that the Vajjii territory incorporated Champaran, Muzaffarpur and Darbhanga districts in present-day Bihar. This would explain why, as Baral theorises, the Tharus call all non-Tharu population to the south by the name "Vajiya". This term has now even entered the Nepali language, "bajiya" meaning "uncouth". This theory must, of course, stand the rigours of academic reasoning, which will probably happen when more scholars take an interest in Tharu history. The Tharus certainly were not a community that hid out in the forest for eons waiting to be discovered during the malaria eradication campaign of the 1960s. Serious work on their antiquity would probably reveal interesting linkages with the main stream of South Asian history. Could it be, for example, that the Sakyamuni Buddha was a Tharu? The first and foremost principle laid down by the Buddha has been named Theravada. But according to its Pali rendition, it is Theragatha, that is, the story of the Tharu. It is though t by some that the Sakyamuni modelled the organisation of his sangha on a community such as his own. It is significant that the Sakya seem not to have the Varna system, and they were isolated to the extent that they were self-governing and their polity was of a form not envisaged in Brahminical theory. The fact that the Sakyamuni's birthplace in Lumbini is still in the midst of a Tharu settled area might be one indication that they are the original inhabitants of this area. A. Fuhrer, who discovered the Lumbini site, was himself of the view that Tharus are the descendants of the Sakyas, though he was unable to prove his case. Excavations done at Tilaurakot, the site of the palace of the Sakyamuni's father King Suddhodhana, have brought up some 3rd century artifacts (contemporary to the Vajjii) that deserve further study. Some of the bricks are stamped with the octoradii circle, which is the mark of the "turning of the wheel of the law" throughout the Buddhist world of Southeast Asia, Japan, China, and also in the Ashokan inscriptions. Another stamp bears the mark of the trisul. On the walls of the thatched huts of the Tharus today, one finds frescos that carry identical marks of the octoradii circle and trisul. Taking this line of thought a step further, it is probable that as the Tharus fled persecution, they not only entered the Tarai jungle but that some also fled further north to the Valley of Kathmandu. There are several unanswered questions in the history of the Valley that could perhaps be explained if the Tharu element were to be introduced. Of Manadeva, said to be the founder of the Licchhavi dynasty (464 AD), there is no suggestion that he was a Licchhavi. It was only 126 years later that his descendant Sivadeva I laid claim to Licchhavi lineage. 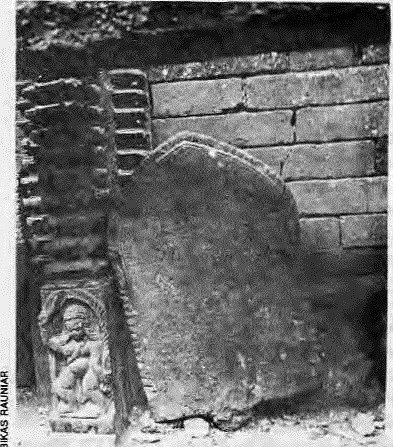 And it is Sivadeva who had a charter inscribed in stone to the people of Tharu Drang (Tharu Village), which is the present-day village of Chapagaon in Lalitpur District. The inscription, which is to be found in Chapagaon today, reduces the tax to the people of Tharu Drang on different kinds of fish. Tharus, it need hardly be stated, are fish lovers to this day. Historians Dilli Raman Regmi and Dhana Bajra Bajracharya went to great lengths to try and identify the different kinds of fish that are named in the inscription, such as Kastika, Mukta, Bhukundika and Rajagraba, Despite complicated semantic analysis, they failed to identify these alien names. A Tharu would have told them that Kastika is a fish that can be bought even today in the Indra Chowk market. The standard name of this fish is Gainchi, but in colloquial usage it is sometimes known as Kastika, a term which indicates that the fish does not spoil as easily as other fish. They were unable to identify a fish named Bhukundika, because, again a Tharu would have told them, Bhukundika is not a fish. It is instead a clam-type slug which is found abundantly in Kathmandu Valley but shunned by the local population. Today, the Tharus who live in Kathmandu savour the slugs as a delicacy, although today they know it as Doka. And what does the similarities of the Jyapu caste of Kathmandu Valley and the Tharu say of the origins of either group? The Jyapus use the kharpan, balancing two loads on a bamboo pole, as do the Tharu, who call their implement the baihinga. No other Valley community uses it but the Jyapu. Both Tharus and Jyapus relish beaten rice (chiura lo the Valley dwellers, also to Tharus). Jyapu and Tharu women use the okhal and musalo to beat rice, but this is not the case with the neighbouring communities of the Valley or Tarai. Jyapu women tattoo their upper heels, exactly as the Tharu women do. Who are the Tharus, where do they come from, and what light can their history shed on the past of the Himalaya and South Asia as a whole? Some historical interest in the Tharus by scholars of today will shed some light on numerous nooks and crannies of the past. We will then gain better understanding about so many issues, from the days of the Sakyamuni, to the spread of populations along the Ganga and Tarai belt of today's India and Nepal, the populating of the Kathmandu Valley, and the reasons behind the backwardness of Tharus today. And with such understanding, hopefully, there will develop a greater appreciation of Tharu culture, which in turn will finally work to eliminate the social and political discrimination that this community faces in Nepal today. T.N. Panjiar worked in the National Planning Commission of Nepal. As the month of Shrawan begins, you’ll see the cycle-wallah and other vegetable vendors selling a round object along with other regular vegetables. 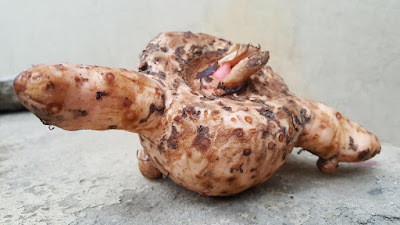 I’ve come across many people asking about this strange vegetable while buying the elephant foot yam, known as oal in the southern plains of Nepal. Oal is a very popular tuber in the terai, especially among vegetarians, because if cooked well, it tastes better than fish and meat delicacies. Also, its curry is a must-eat delicacy during the Jitiya festival celebrated widely in the terai. What’s so special about this ugly-looking tuber? It can’t be eaten raw, and needs either lemon juice or curd paste, even when cooked, due to the oxalates present in it. However, it is a natural medicine for piles and many other illnesses like dysentery, vomiting, stomach ache, and asthma. It grows well in fallow land, as well, and doesn't need much water to grow. So, how do you cook oal? It’s simple, but you’ll need to take care while cleaning and chopping it into pieces. You can either wear plastic gloves or apply a layer of oil to your palms to avoid the itching that can come while cleaning the tuber. Wash the tuber properly and scrape the outer layer with a knife. Then, either cut it into small cubes or slices as per your choice. If you want to go for cubes, fry the chopped onions in ghee till they are brown, and then add the cubes and fry them together. Then, as you cook, add salt, turmeric powder, cumin, coriander, and chili powder and garlic paste. Add a bit of curd and water and cook on low heat. Once it is cooked, garnish it with coriander leaves. However, if you want to go for slices, boil them and then drain the water from the slices. Then, fry the slices on both sides in ghee. As in the earlier case, fry chopped onions, and once they brown, add salt, turmeric powder, cumin, coriander, and chili powder and garlic paste to it. Now, add a bit of curd and water and make a thin gravy. As it starts boiling, dip the fried slices in it and let them soak the gravy. Once it gets cooked, garnish it with coriander leaves. The oal curry can be served with rice or chapatis, but it tastes best when served with puffed rice. And if you want to avoid adding curd, add lemon juice to the oal curry at the end, before garnishing with coriander leaves. So, next time you see a vegetable vendor selling this strange tuber, buy it and try cooking it for yourself. I’m sure you’ll love it! The World Sickle Cell Awareness Awareness Day just passed by on 19 June. Since 2008, World Sickle Cell Awareness Day has been held annually, in order to help increase public knowledge and raise awareness of Sickle Cell Disease (SCD) and the struggles sufferers and their families go through. In Nepal, Tharus, the fourth largest group in terms of population in Nepal, have a seven-fold lower prevalence of malaria than non-Tharus. Tharus have been living in the plains, which were infested with malaria for thousands of years. Sickle cell has been found to be more prevalent in the malaria-affected areas, especially among Tharus, and the people with sickle-cell trait have been found to be more resistant to malaria. However, a new drug is supposed to provide a ray of hope to sickle cell patients. The new drug, called SelG1, has performed well in very early trials. Scientists claim that it has reduced episodes of sickle cell discomfort dilemmas by 45%. They additionally state that it seems safe and was well tolerated. There’s something special about traditional knowledge. Through countless trial and error our ancestors were able to find out the best way to maximise the good properties and minimise the bad properties of plants found in our surrounding. Since it’s the season of growing grass peas in the terai, I’ll tell you about its wise use – how people cook it into a delicious dish and store it for future use. Also the mango trees have started flowering in the terai. Within a month or two there will be plenty of green mangoes around and the parents will be asking their children not to consume too much green mangoes fearing the sore eyes. I’ll be talking about a home remedy to get rid of the sore eyes caused by eating green mangoes. Called khesari locally, grass peas are considered largely inedible due to a toxic component in it which may cause paralysis if consumed in excessive amount. However, it has been a staple diet for the people of southern plains in eastern Nepal. They are easy to grow and can be eaten as green leafy vegetables or can be wrapped as biriya and stored for future use or used as lentils or besan (lentil flour) to cook pakoda (fritter or tempura). The farmers broadcast-seed the grass peas together with linseed in standing rice crops one or two weeks before the rice harvest. The grass peas and linseed then grow on their own. They neither need irrigation nor further weeding due to their tolerance to drought and capability to withstand extreme temperatures. Khesari has a special place in the Tharu cuisine either as leaf curry or dried biriya. They cook it together with brinjal and it tastes amazing. Here’s how to cook it. While the whole world, Ayurveda in particular, consider Eclipta prostrata as a hair growth supporter, the Tharus in the Eastern Nepal use it for a totally different purpose. Have you heard about “biriya”? In southern plains of Nepal, this dry green vegetable, eaten during the rainy season, is quite popular. During the winter, women gather the green vegetables, wither them a bit, wrap them in black gram paste and let them dry. The dried biriya is stored in a dry place and used as an alternative vegetable during the rainy season when the green vegetables are scarce. And yes, when I see the Eastern Tharu and Odia languages, there are lot many similarities between the both. At least I have found many words with same roots. There’s some relationship between natives of Odisha and the Tharus of Nepal. Watch this space for more posts on the similarities!